According to the Associated Press, Belgian authorities launched six police raids in Brussels that are reportedly connected to Bilal Hadfi, one of the suicide bombers involved in the Paris attacks last Friday. The raids' focus was to target people possibly connected to Hadfi, CNN reports. The operations took place in Brussels and local municipalities Jette, Uccle, and Molenbeek, which has somewhat gained a reputation for being a "hotbed" of terrorist activities. CNN also reports that a separate operation took place in Laeken, a section of Brussels, and one person was taken in for questioning in relation to the Paris attacks. It was not immediately clear whether the raids produced any developments in the investigation into the Paris attacks that killed 129 people and left more than 350 others wounded, some critically. 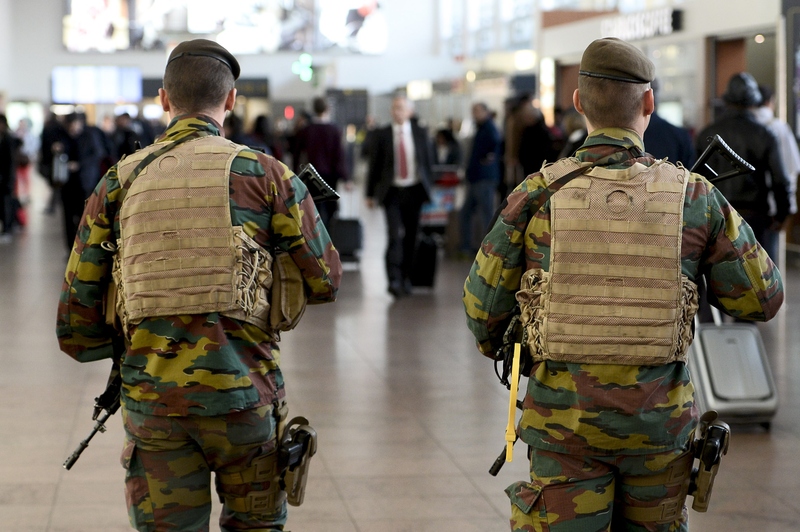 Brussels has amped up its anti-terrorism efforts in light of the Paris attacks. The neighboring countries have been indelibly tied by terrorism. Some of the terrorists behind last Friday's attacks were Belgian nationals, and Belgium has seen more of its nationals leave to fight for ISIS than any other European country. The Brussels raid comes one day after a massive police operation in the Paris suburb Saint-Denis left two suspected terrorists dead and eight arrested. The target of the Saint-Denis raid was Abdelhamid Abaaoud, the believed brain behind the Paris attacks. While authorities have confirmed Abaaoud was not among those arrested, it has yet to be disclosed whether he was killed in operation or was not present in the targeted apartment.